It never fails to amaze me how many chores there are in such a small apartment. Labor Day always seems like the time to get a start on Fall cleaning. 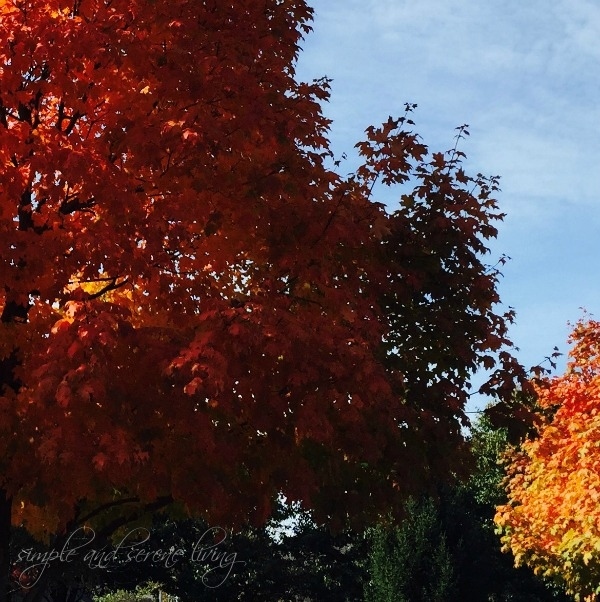 I know that most people like to spring clean, but I've always been more motivated in the Fall. 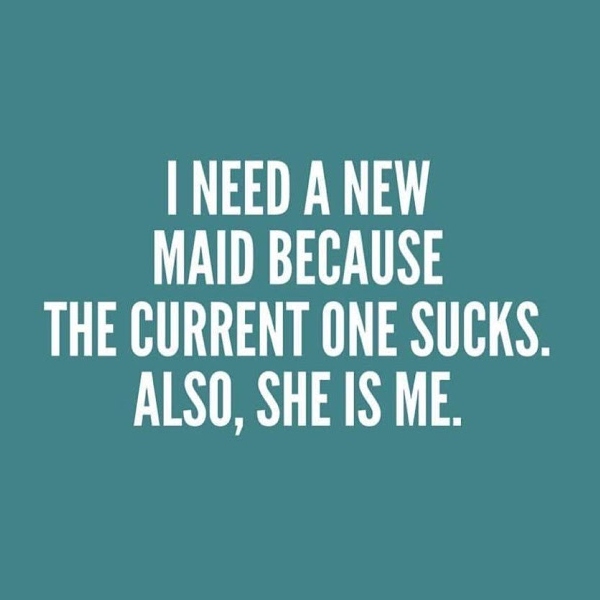 I think it has to do with the thought that I will be spending more time stuck in the house when winter gets here and I want everything to be clean and organized. Yesterday I did something extremely brilliant. I decided to reverse the ceiling fan in my bedroom. This came about because I read that it should be going counterclockwise to get the most from my air conditioning. So of course I immediately shut it off, climbed up on my bed, and flicked the switch on the fan. When I turned it back on dust flew everywhere. YIKES!!! My hair was full of big globs of dust. 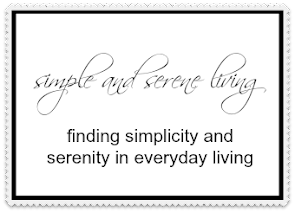 Message to myself. 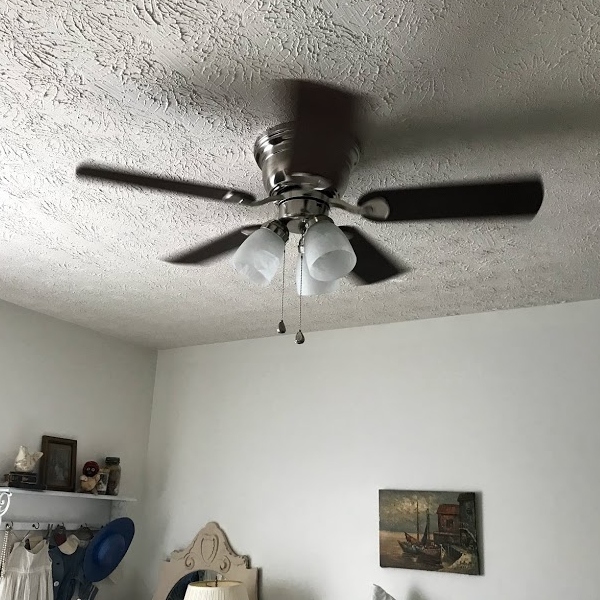 Clean fan before switching directions. Message number two. Dust the fan more often. I might actually breathe better. I'm painting some pieces for my antique booth. 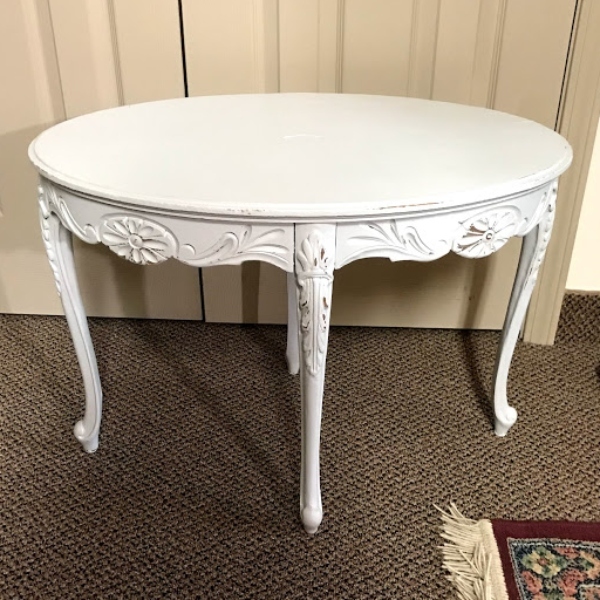 I got this table at an estate sale and as it was pretty badly scarred I decided to turn it into a shabby chic grey table. After a couple of coats of paint. some light distressing, and a wax sealer it is ready for me to drop it off tomorrow. 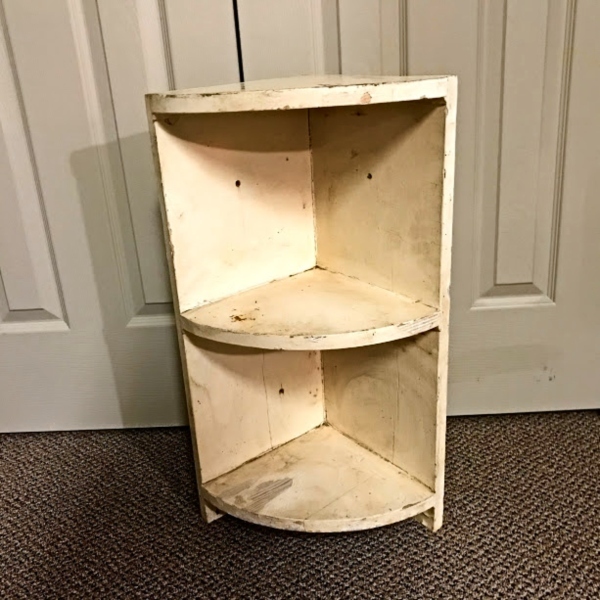 Next up is this heavy old corner shelf. I haven't decided yet what color to paint it, but I want to get it ready to go when I take the table. Clean bathroom. Check. Clean kitchen. Check. Now I think I'll get started on painting that shelf and then I am having a potluck dinner with friends. I hope everyone had a fun Labor Day weekend. Pretty soon it will be Fall Y'all. I like to Fall clean too. I think it is the fact we will be spending more time indoors so clean is the way to go. LOL on the ceiling fan blades. It is amazing how dust accumulates! Love the chippy white table you are putting in your booth. That will sell quickly I am sure. Very pretty. Happy New Week. Loving the table all dressed in white. This will sell quickly don't you think? I love that poster, Laura. I never heard that about a ceiling fan. The Mister will be getting the ladder out when he gets home tonight. He'll be thrilled. Enjoy your week. When I saw your post on IG about the ceiling fan I added it to my to-do list that very day - thanks for the reminder!!! !